There’s a phrase, “make time for it”, and I want to confirm that, in this instance, I very consciously did. Hauling myself to Port Authority early Sunday I boarded the bus, Woodstock bound, arriving 3 hours later to the peace and quiet I consider a perfect writing environment. I set about finishing off a whole lot of work stuff as soon as I got here — to clear my head — making note of how focused I feel once surrounded by trees. Then — diligently I rose at 7.30 AM this morning — put the kettle on and opened up my laptop… And then I cleaned out the fridge… measured and re-measured lots of walls that could potentially host shelves or cupboards answered emails… drank tea… and another cup of tea (or two) and stared out the window. So I walked to town for lunch thinking a break would do the trick. A green juice was what I really needed (it was delicious), then popped into the shoe store — a sensible shoe is a precaution — especially here — where weather “conditions’ are likely and my platforms just wont suffice. I was treated to a fascinating “late coming out “ tale from the sales person… a confidence I was happy to inspire. Then I went for a real “walk” in the new footwear as my feet haven’t been this comfortable for about a decade… and the sun would shortly be setting, so lets not miss out on all that lovely fresh air etc. — good for the soul— and it wont be there tomorrow — or I wont be — as I’ll be back in the city… Anyway, some exercise will kick start my brain. Mid walk I get a text from my friend Chris Wells —so decide to continue over to his and Bobby’s place — more tea and much chatter — but now back home it’s somehow already 8.45PM. “Time is fleeting” — that’s clear… Only a few days ago I was 54 and now I’m 55. Is it scary that clichés have started making so much more sense? Surely it’s about time for “the age of Aquarius”…I swear I can still picture the green and red “Hair” label — green on one side red on the other??? — on the record player in the room that my parents referred to as “the den” (there was something very grown up and forbidden about this room) — the Marimekko wall hanging and large floor cushions (which ironically I now make something very similar to) — anyway... moving on… At some point writing each newsletter I generally look up the “traits” of a star sign… and although all too familiar with the likes and strengths of this particular bunch, there were a few surprises in the adverse characteristics department. Strengths: Progressive, original, independent, humanitarian. Weaknesses: Runs from emotional expression, temperamental, uncompromising, aloof. 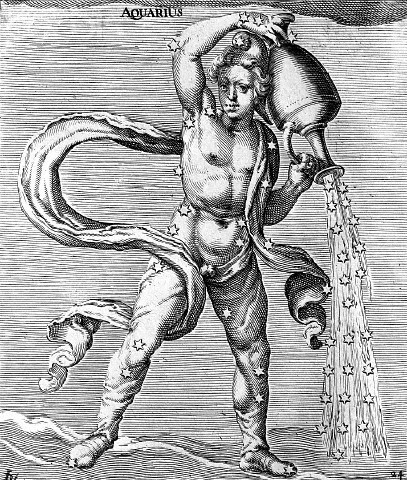 Aquarius dislikes: Limitations, broken promises, being lonely, dull or boring situations, people who disagree with them. “YES”, to all of the above, most notably “people who disagree with them”… guilty as charged. My internal personality power struggle is a compassion VS ambition conflict — I care about you but I also want to get things done — so “hurry up”… or at least don’t stand in my way — please!!! Patience — the lack of — looms large. “Time will tell”… but will it tell me quickly enough? As my childhood heroes ascend, one by one, to that big place in the sky — altogether much sooner than had I expected — my mortality lurks ever more present.